A premium versatile cleaner for all different materials. Strong enough to clean shoe soles and sidewalls, this versatile cleaner can be used to clean many different materials and is still gentle enough to clean suedes and nubuck. 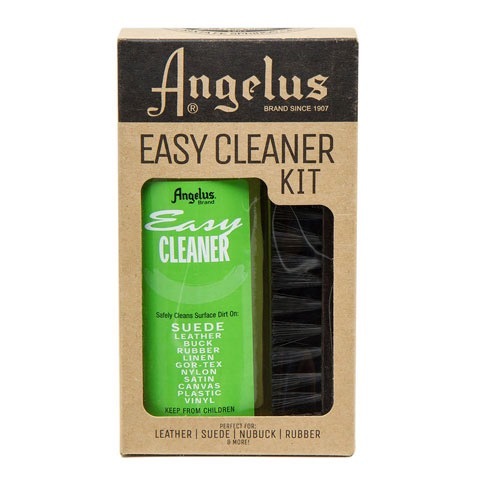 This kit includes one Easy Cleaner 8 oz., one Premium Microfiber Towel and one Angelus Premium Cleaning Brush.